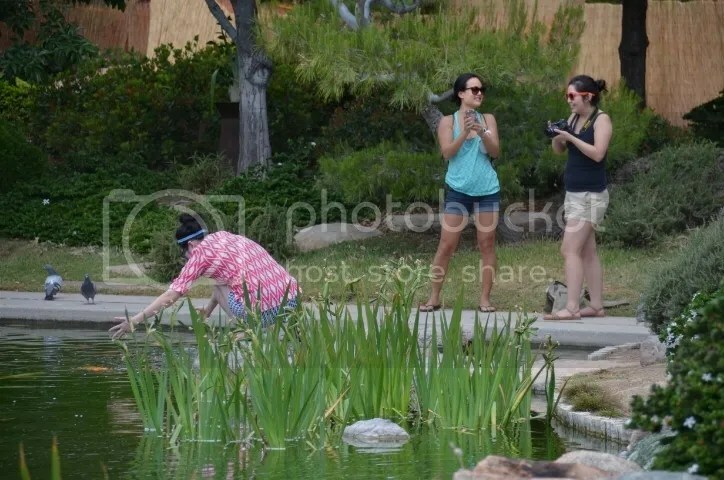 Visitors to the Japanese Friendship Garden, Phoenix, Arizona feed koi. 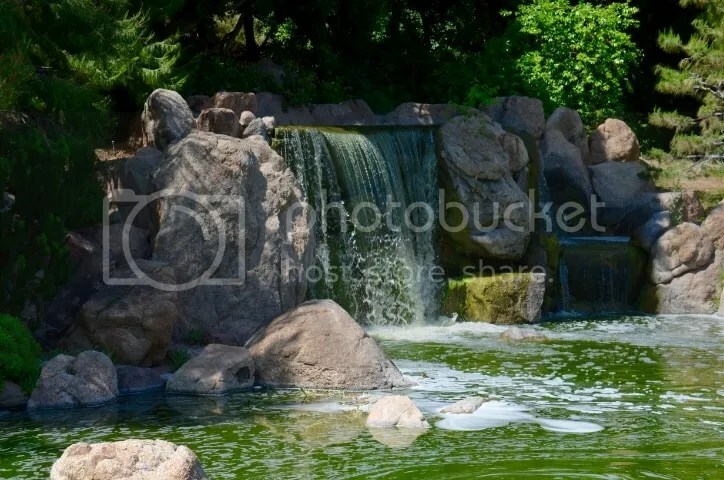 A waterfall’s music soothes visitors to the Japanese Friendship Garden, Phoenix, Arizona. 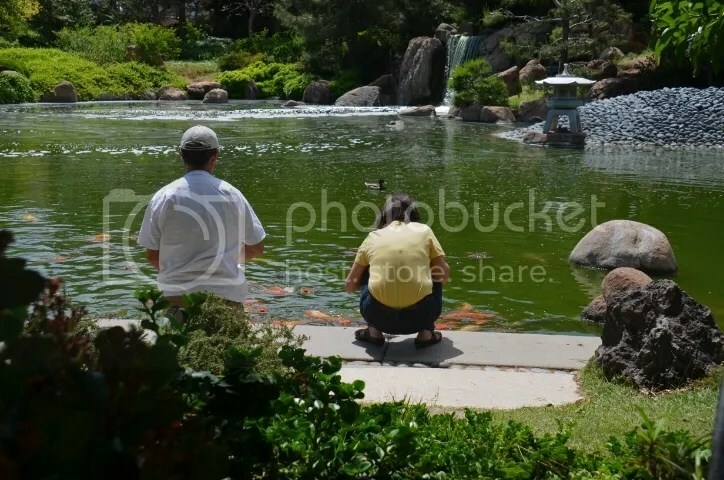 A young visitor seems to be talking to pigeons near the koi pond at Japanese Friendship Garden, Phoenix, Arizona. 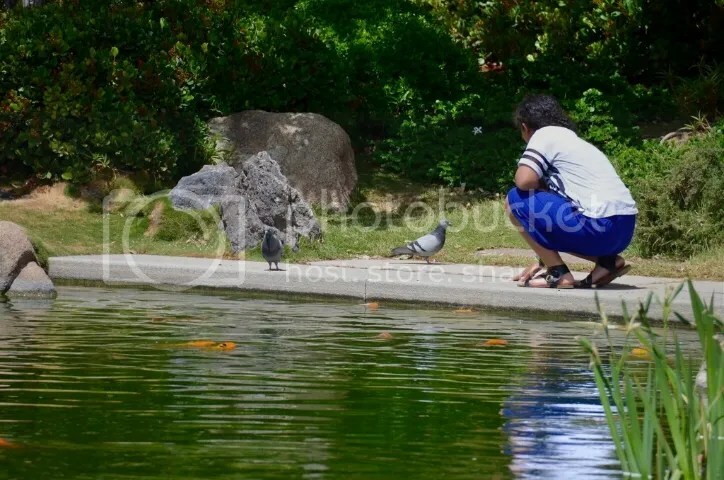 What should people whisper to pigeons at the pond? Any whispered word will do, as long as it is fond. 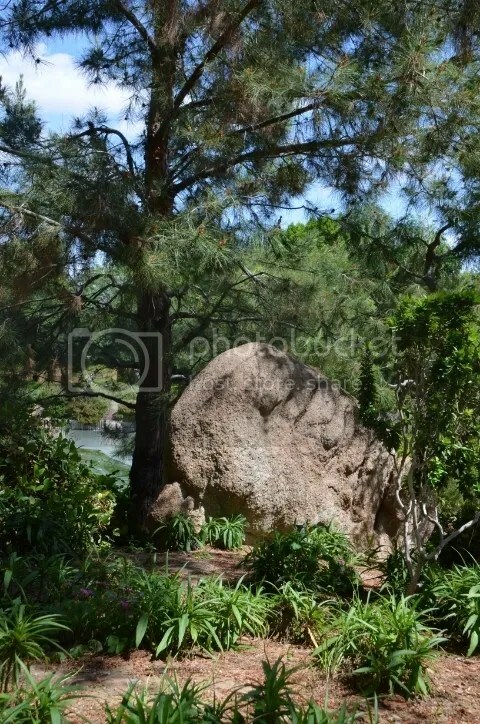 A pine tree and a stone serve as aids to contemplation in the Japanese Friendship Garden, Phoenix, Arizona. 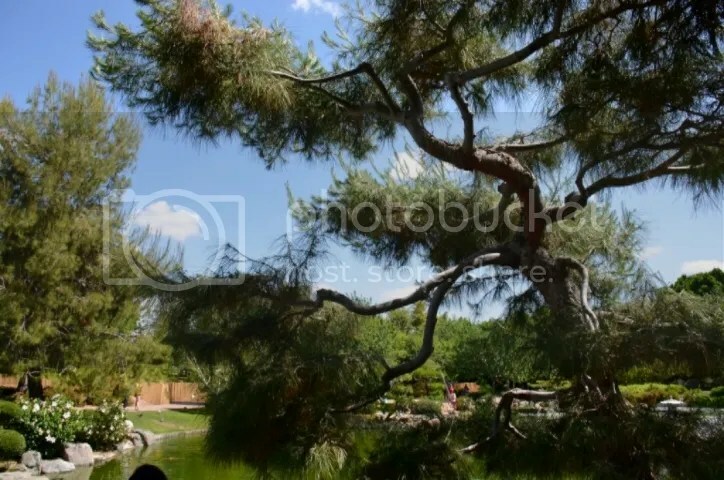 A gnarled pine tree offers shade in the Japanese Friendship Garden, Phoenix, Arizona. 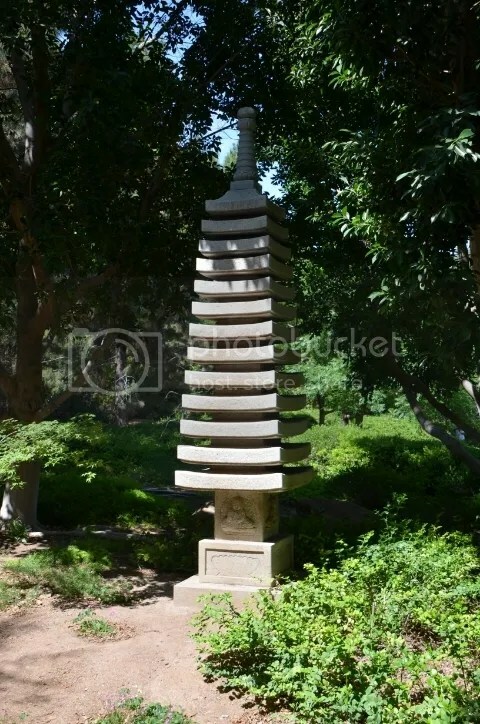 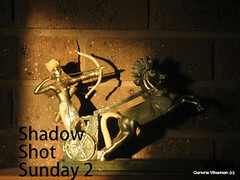 Sculpture in the shadows, Japanese Friendship Garden, Phoenix, Arizona. 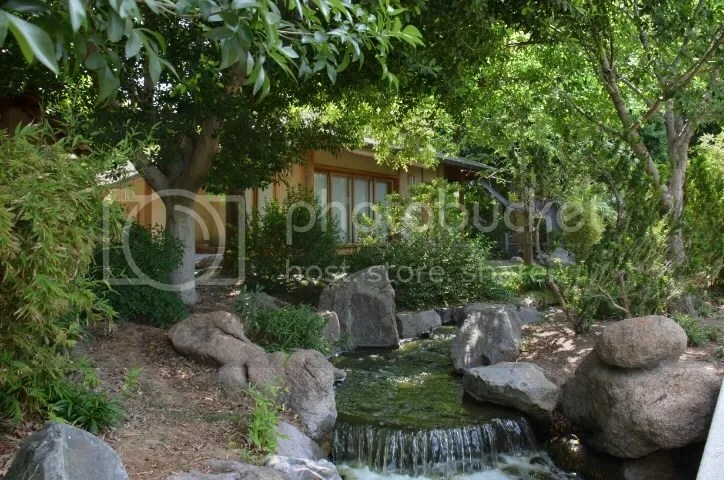 Teahouse, Japanese Friendship Garden, Phoenix, Arizona.